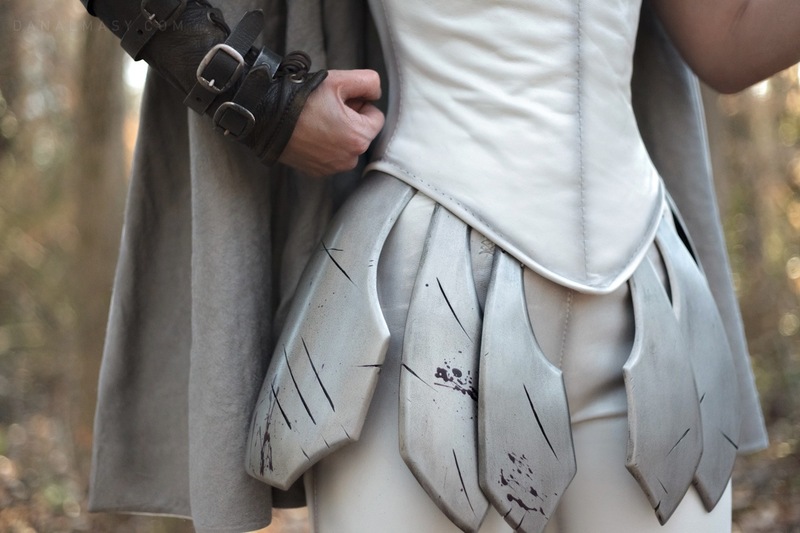 This armor is created mostly from sintra and vacuumformed styrene. 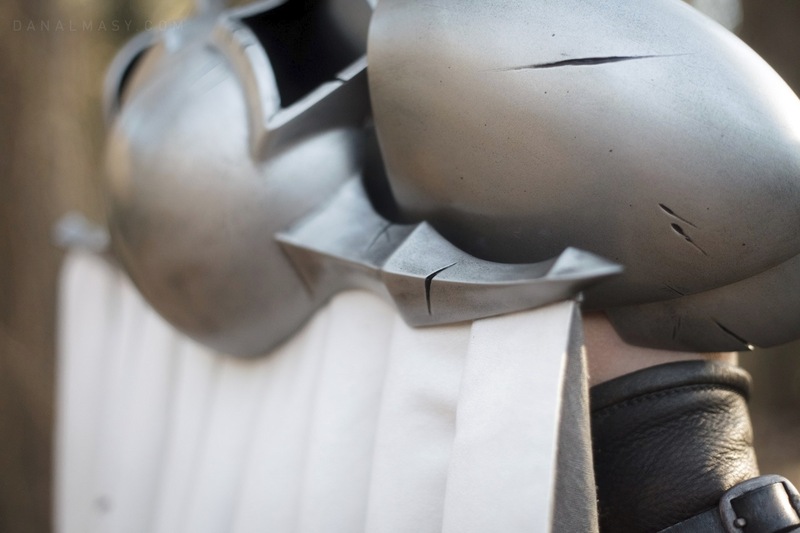 Special care was taken to keep the visual aesthetic of the armor that is shown in the anime and manga series, while avoiding the unfortunate “football player” effect that large shoulder armor can often have on a costume. 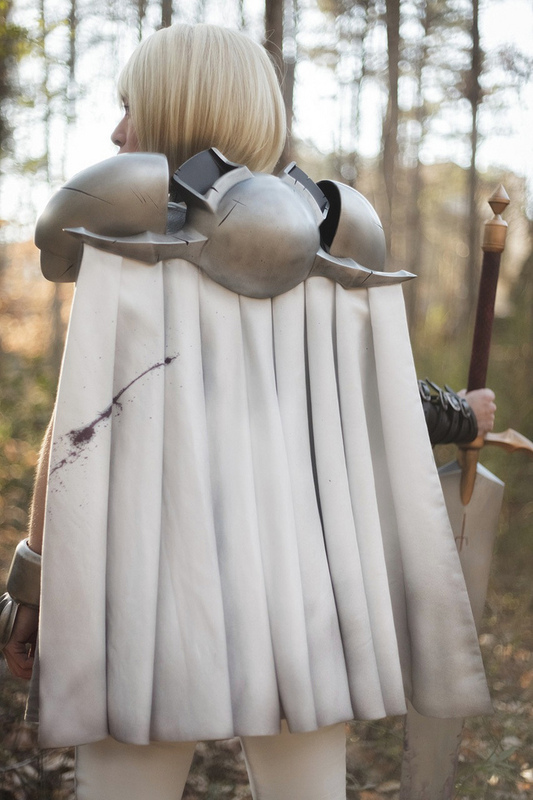 The final armor was spattered with purple “blood” and heavily damaged in sections to convey that, while Clare is a fighter, she’s not an exceptionally great one. 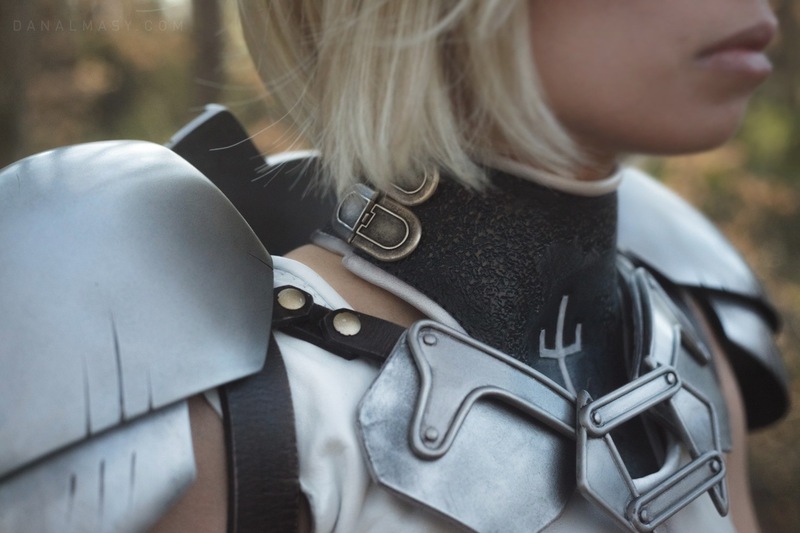 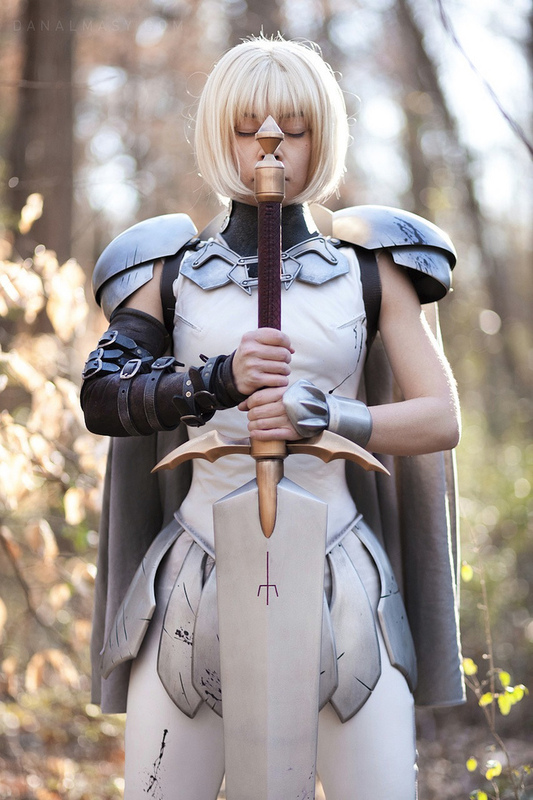 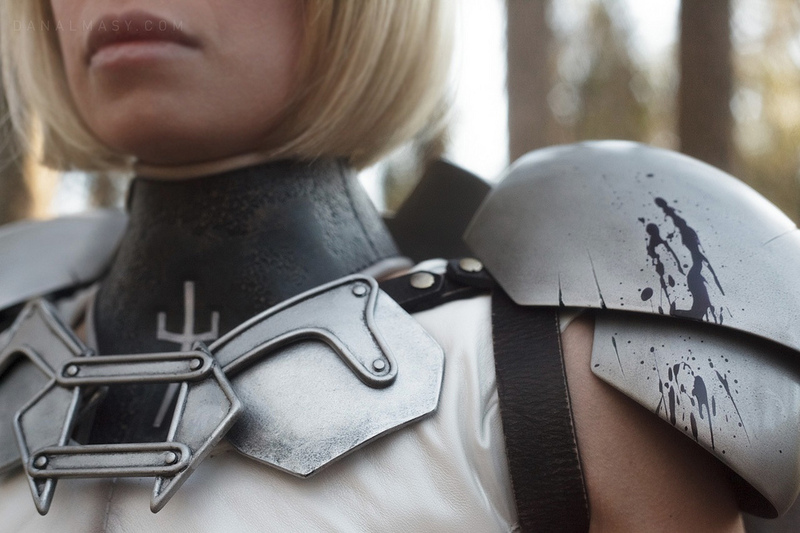 Click here for the Clare’s Armor design and build log.